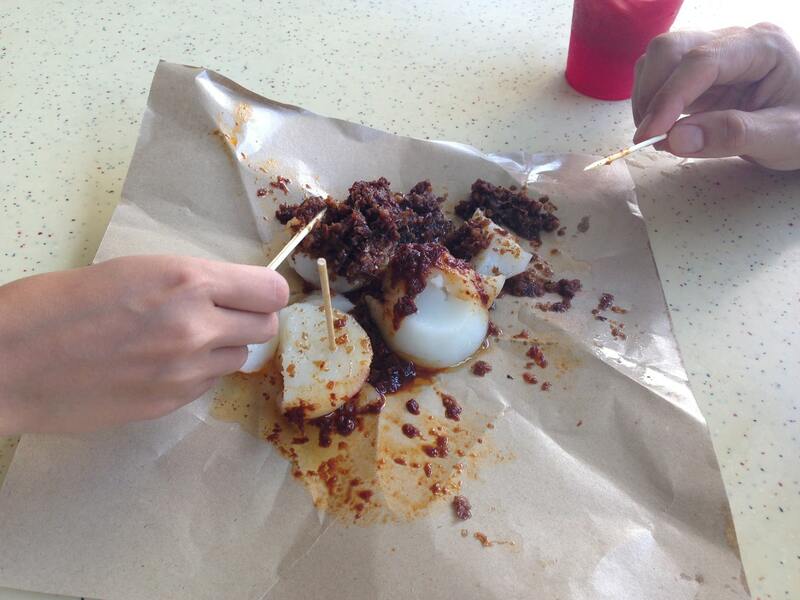 Tiong Bahru Market (TBM) would most likely feature on any local’s favourite go-to place for breakfast. TBM, also known as Seng Poh Market, was the first modern market to be built in a housing area by the government in 1955. Following the economic boom in the 70s and 80s in Singapore, the Tiong Bahru estate experienced a decline in population numbers and the estate soon became one for the elderly. Lately, however, younger generations have begun to explore the area, especially with the opening of many hipster cafes that serve to rejuvenate the old estate. Visit Tiong Bahru on any weekend and you’re bound to see fancy cars parked by the side of cafes and lots of hipsters capturing photos of their cup of coffee at Instagrammable cafes. While $5 cups of coffee may be the in-thing nowadays, a cheaper alternative for the not-so hipster crowd and one of the great things to do in Singapore is the local fare at TBM. For a more extensive list of things to do in hip Tiong Bahru, see my guide here. With over 1,400 seats and 83 hawker stalls, you’re bound to be at a lost during your first visit to TBM. This guide hopes to help you focus on the good eats so you don’t waste calories on anything not worth your time! 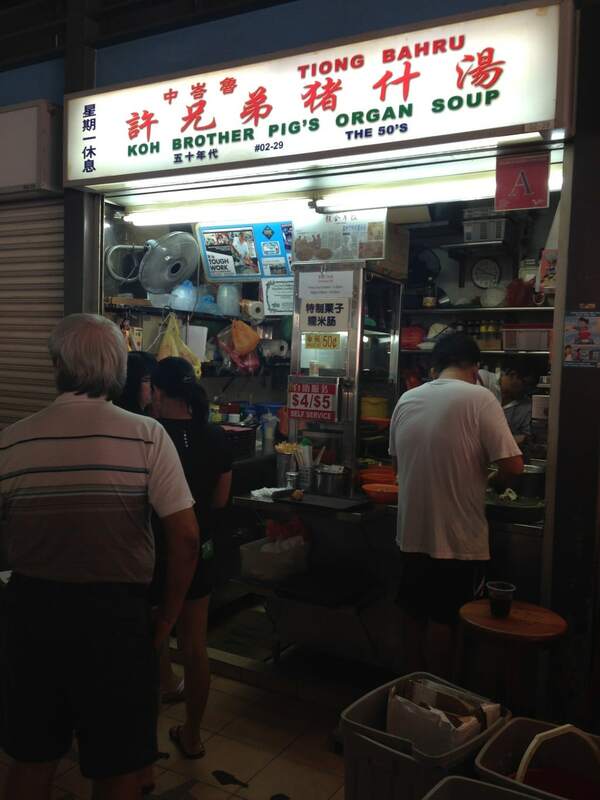 Koh Brother’s pig organ soup is one of the best stalls in Singapore if you’re looking for pig innards and everything to do with that sort of stuff. 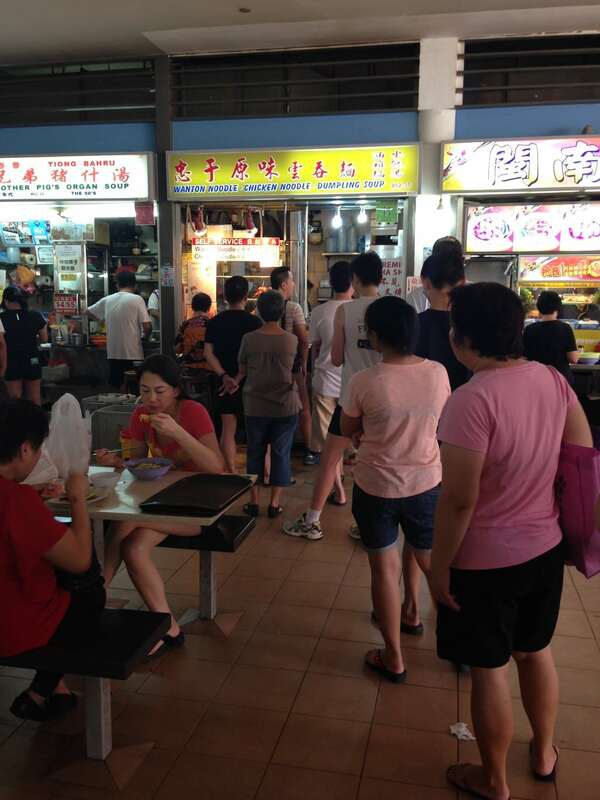 It always has a long queue, so be prepared to wait or come early if you really want to have this! 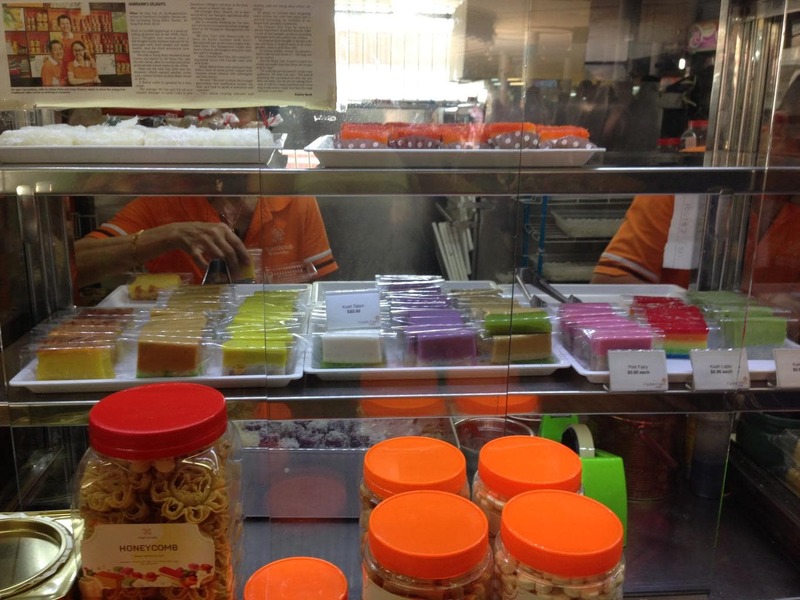 Ban Chang Kueh is more for dessert. It’s a thin piece of pancake and there are a variety of fillings to choose from. 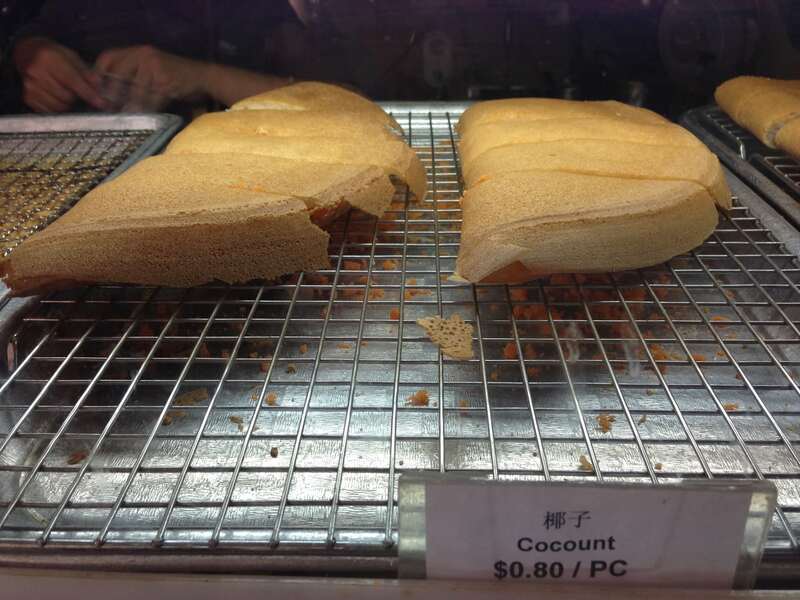 The one pictured above has coconut in it but the most common flavour would be the peanut filling. 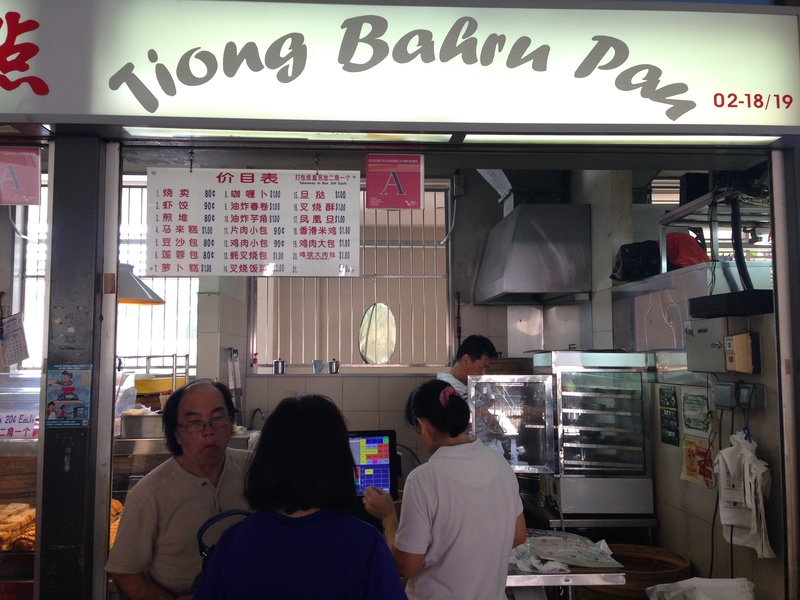 Tiong Bahru Pau is extremely famous and one of the best places to get your siew mai fix. You may have had siew mai at your dim sum restaurant but Tiong Bahru Pau is famous for their siew mai because it’s extremely big and very tasty. Other favourites from this stall is the big pau as well as the chicken pau. Paus are steamed buns with fillings, depending on which pau you get. Big paus usually contain pork, mushrooms and spring onions, with all these marinated in light soya sauce and oyster sauce. Fan choy is another local favourite – it contains some rice with char siew (pork) and egg! Great for sharing. 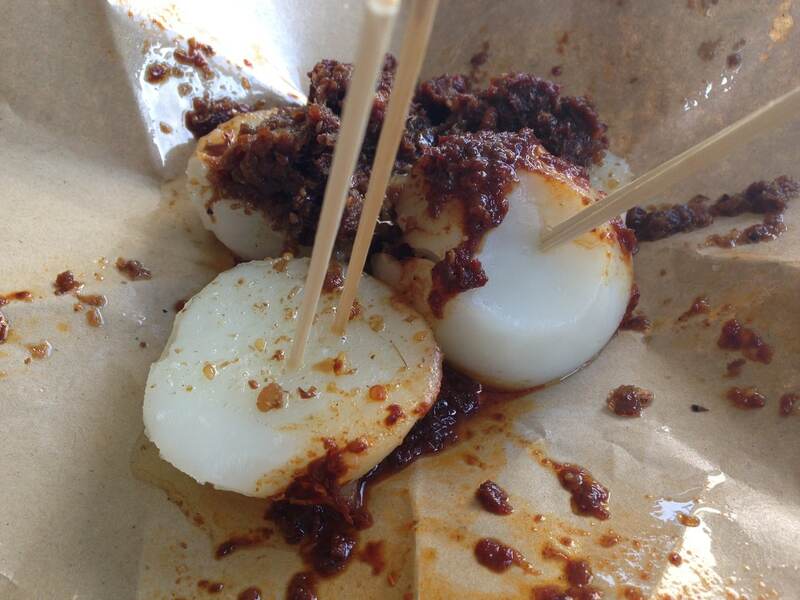 Another favourite from TBM would be Chwee Kueh or Shui Kueh. This steamed cake is a traditional delicacy for the Chinese, and is made from rice flour. It’s almost always topped with preserved fried preserved turnip which is a little salty. Ask for chilli if you’re feeling adventurous! Don’t forget to end your meal with a cup of fresh juice to wash away all that oil! Or if you rather go for a traditional cup of coffee, here are some tips on how to order your coffee at the market. This list is by no means exhaustive, but contains the most common coffees ordered in Singapore. “Kopi Kosong” – Black coffee without sugar of milk. “Kopi Siew Dai” – Coffee with condensed milk, but with less sugar. If you still have room in your stomach for more food after all that, this really cool interactive guide will come in handy: http://tiongbahru.market/. To read more about a half day itinerary of Tiong Bahru check out our guide here. Getting there: The nearest train station is Tiong Bahru MRT Station (EW 17), following which TBM is about a 10-minute walk away. Several buses also serve the area: 5, 16, 33, 63, 123, 195, 851 and NR5 and taking the bus means a shorter walking distance too!